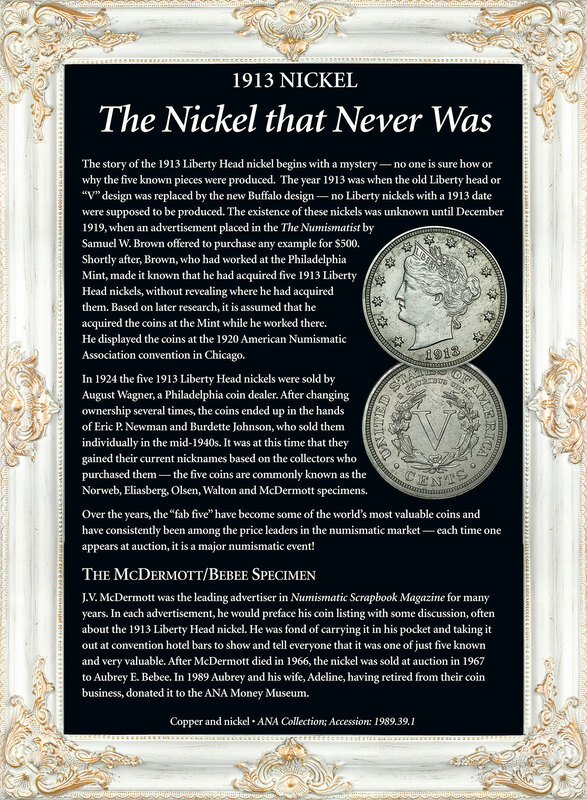 The story of the 1913 Liberty Head nickel begins with a mystery — no one is sure how or why the five known pieces were produced. The year 1913 was when the old Liberty head or “V” design was replaced by the new Buffalo design — no Liberty nickels with a 1913 date were supposed to be produced. The existence of these nickels was unknown until December 1919, when an advertisement placed in the The Numismatist by Samuel W. Brown offered to purchase any example for $500. Shortly after, Brown, who had worked at the Philadelphia Mint, made it known that he had acquired five 1913 Liberty Head nickels, without revealing where he had acquired them. Based on later research, it is assumed that he acquired the coins at the Mint while he worked there. He displayed the coins at the 1920 American Numismatic Association convention in Chicago. 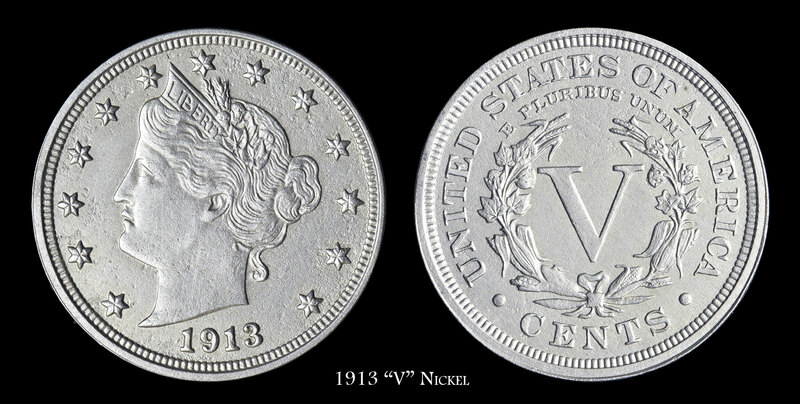 In 1924 the five 1913 Liberty Head nickels were sold by August Wagner, a Philadelphia coin dealer. After changing ownership several times, the coins ended up in the hands of Eric P. Newman and Burdette Johnson, who sold them individually in the mid-1940s. It was at this time that they gained their current nicknames based on the collectors who purchased them — the five coins are commonly known as the Norweb, Eliasberg, Olsen, Walton and McDermott specimens. Over the years, the “fab five” have become some of the world’s most valuable coins and have consistently been among the price leaders in the numismatic market — each time one appears at auction, it is a major numismatic event! J.V. 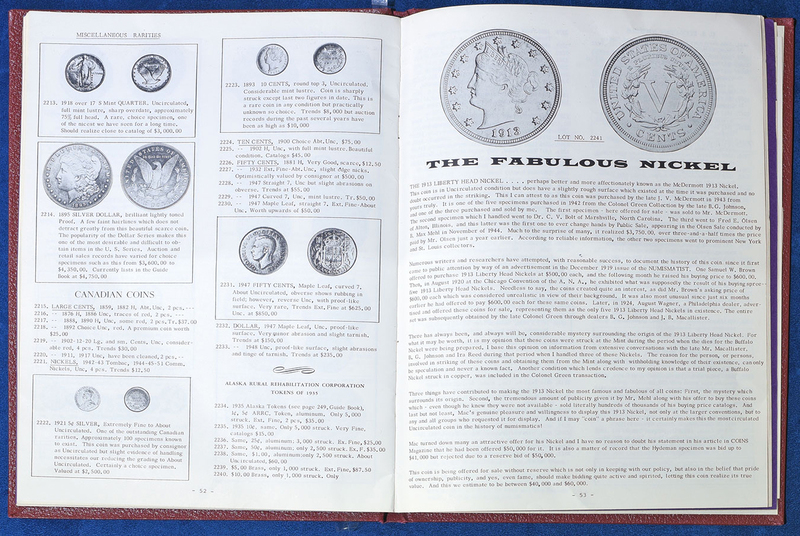 McDermott was the leading advertiser in Numismatic ScrapbookMagazine for many years. 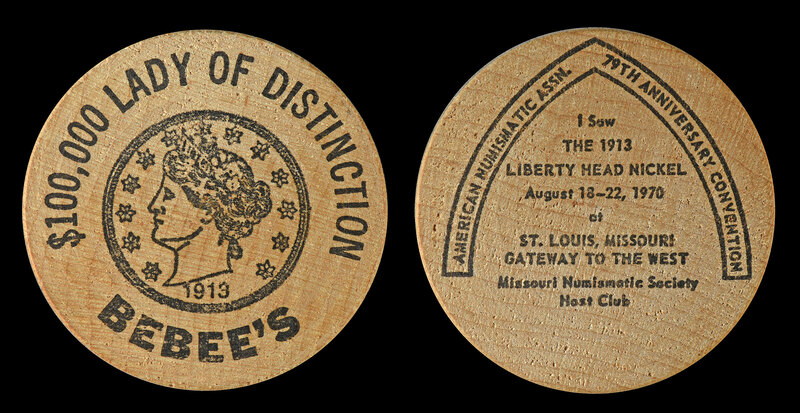 In each advertisement, he would preface his coin listing with some discussion, often about the 1913 Liberty Head nickel. He was fond of carrying it in his pocket and taking it out at convention hotel bars to show and tell everyone that it was one of just five known and very valuable. After McDermott died in 1966, the nickel was sold at auction in 1967 to Aubrey E. Bebee. 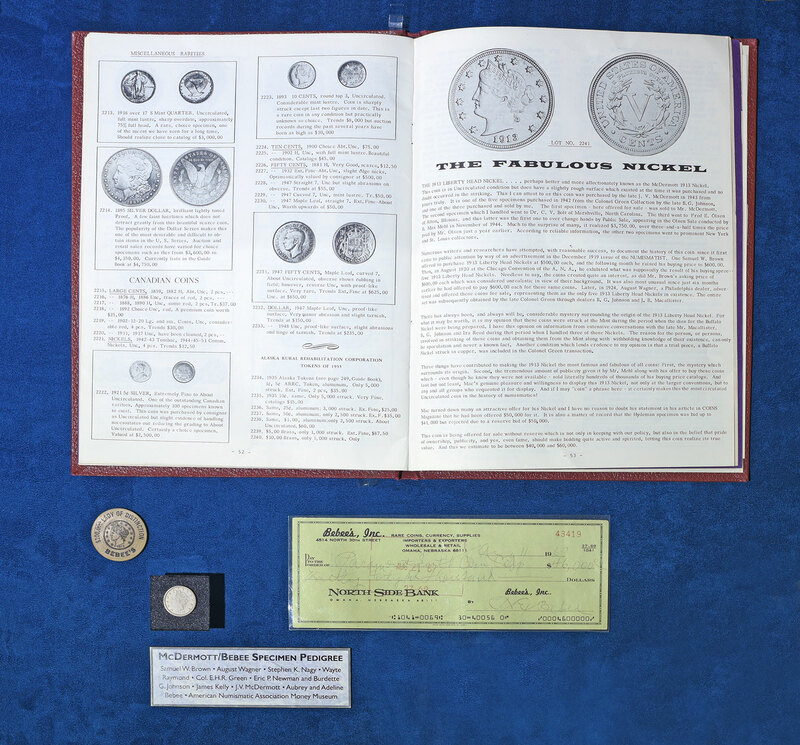 In 1989 Aubrey and his wife, Adeline, having retired from their coin business, donated it to the ANA Money Museum.